At Hibernest you will be able to relax in a comfortable atmosphere and get a good nights sleep on our custom made bunks. 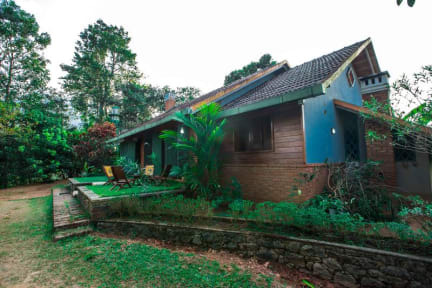 Hibernest Chembra, once used to be a colonial bungalow is now a beautiful, cozy boutique property overlooking the majestic Chembra peak with beautifully appointed guestrooms, each including private shower and toilets. You will be bowled over by the breath taking view of unmatched greenery, serene waterways, cloud kissed mountains, calm and cool jungles of enchanting “God’s Own Country”. I stayed at the Hibernest in Chembra for two nights and it was an absolutely wonderful experience. 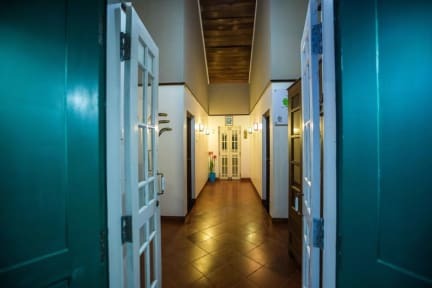 The hostel is built in a beautiful house with stunning views of the Chembra peak, beautiful garden, and is close enough to places where one can get basic supplies. It’s safe, clean, and peaceful. Sandeep, who takes care of the place is great. Bed, pillows, sheets, and blankets are clean and comfortable. I highly recommend this hostel. Possibly the comfiest bed in India! Perfect hostel if you like being in the middle of nowhere surrounded by mountains and greenery. You can buy food only 5mins walk away and use communal kitchen. The dorm is located in a small village Kunnampetta, a very beautiful and serene place in the midst of tea gardens. There is a small temple nearby, where I used to sit and read after exhaustive treks. Dorms, Kitchen & Bathrooms are neat and we'll maintained. The care taker of the property, Mr Sandeep, is very friendly and helpful. I would definitely recommend this accommodation to the travellers who likes to stay in a silent & peaceful place away from city. Hibernest Chembra won me over. One of the most serence hostels I've ever been to. Most comfortable beds which are something unexpected from hostels. Nestled among the green valleys all across with the serene Chembra Peak in the backdrop. Host was friendly and would offer you with the local knowledge to help you plan your travel across Kalpetta/Chembra region. More people need to know about the place. Location is offbeat from more easily accessible Kalpetta and Mahanthavadi. Everything was top notch, it wasn't a fancy shmancy place but it's in a nice location and the only issue was the 8pm curfew owing to the possible elephant roaming around who might not have taken kindly to our presence. Keeping that curfew in mind, it would've been really convenient if they kept a stocked pantry from which guests could purchase edibles/essentials. Everything else was just fine. Beautiful location in Wayanad away from the centre of the city which made it a great break from the usual chaos of Indian cities. It can be difficult to try arranging sight seeing without a driver (especially is you dont speak Malayalam) or your own car but the owner will organise if you want for a driver to take u on day trips. This will add up cost wise if you are a backpacker on a budget but it was definitely a highlight so worth it 100%. Very nice but remote location, public transport is very good though! Clean rooms and beautiful stay. It is a peaceful hostel in the middle of nowhere. The hostel is very clean and well maintained, and has the most comfortable bed you can ever get. Unfortunately, we went in the low season and it was raining, and there were no other guests. The manager is decent, but after check out time he told us to leave, in the other hostels they allow you to stay in the common area, so that is one downside. Another disadvantage is there is nothing to eat in the kitchen, they could have basic stuff at least. Not a lot going on. Good hostel though. I am unhappy that my booking on hostel world was not recognised by Hibernest., Despite showing them confirmation emails, i was told they had no intimation of my booking and if i had to stay there i had to make an independent fresh booking. I had paid an advance of 5usd on this site whichni had to forfeit and had to pay a full amount at Hibernest as they did not recognise the booking. Attempts to write to Hostelworld also got me no response. And they had no customer care number.